Bonus features are the cherry on top of every slot, and the developers nowadays are constantly seeking new ways to keep the players engaged. In the midst of Free Spins, multipliers and picking bonus games, it often seems that the Wildcard is unjustifiably neglected. Apart from replacing other symbols, Wild icons are never truly reaching their full potential. Fortunately, there are developers that decided to go outside the box and add an extra dimension to the Wilds, upgrading the game to an entirely different level and increasing the overall winning odds. By far one of Yggdrasil’s most mesmerizing slots, Chibeasties is a 2015 release that really took the players by storm when it was first launched. The appeal of little creatures was so great, that Yggdrasil decided to launch the sequel, and this is where they really delivered a sparkling performance. Chibeasties 2 exceeds the original in every way. Not only is the 2017 edition visually more sophisticated, but it also carries a higher winning potential and introduces four different Wild modes, covering pretty much every possibility you can think of. The Playtech title features not one, but 4 Wild icons, each represented by one of the Squad members. Well, to be more specific, stacked Harley, Deadshot, Katana, El Diablo, and The Joker are not really the Wilds – the symbols will actually produce Wilds when they land on the reels in full view. The Dog Tag is the real star of the show and the number of relevant symbols that land on the reels will depend on the character. Harley and Deadshot have the highest value and when one of these two lands, 4 Dog Tags will appear. In terms of value, The Joker is next in line since it can produce 3 Dog Tag icons, while El Diablo and Katana generate 2 Wilds. Dog Tags will be removed from the screen one by one and they can substitute all other symbols to complete a winning combination. More Wilds are lurking from the Enchantress Mode – once triggered, this feature will add 4 more Wilds on the grid, transforming all other Squad Wilds into the Enchantress Wild and doubling the payouts. 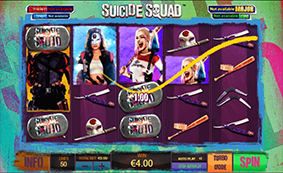 This movie-inspired slot is literally packed with bonus features, offering four types of Free Spins alone. The slot is played on a board replica (3-4-5-4-3 reel grid) from the actual movie and the bonuses are closely connected to the “original” Jumanji game. Monsoon Wilds bonus can be randomly unlocked during the main game and when that happens up to 2 reels will be completely covered with wilds, while the other columns will continue to spin. Remember Wild Rhinoceros stampede from the movie? Well, as one of the most memorable scenes, it found its way into the Jumanji slot, triggering the Wild Stampede feature and adding at least 4 and up to 9 Wild icons on the grid. In the Wild Racoon feature, Wild Racoon will land on the middle reel and randomly substitute all other icons. Bonus icons can also be replaced with this Wild, which is an exception. This will in no way affect the payout or the feature initiated by the Bonus symbol. Even when replaced by the Wild, Bonus icon will still trigger both the bonus and the payout. Wild Coyote also lands on reel 3, transforming all the Cactus icons on the screen into Wilds, regardless of their colour. Wild Bull is possibly the most generous feature since it also offers a multiplying value. The landing position is the same as with the previous two Wilds. When the Wild Bull appears anywhere on the third reel, all combinations with a Wild icon will increase in value. The payout will be randomly multiplied by 2x, 3x, 5x or 10x, regardless of the kind of Wild that’s completing the combo. A fine addition to the Sci-fi theme, It Came from Venus features a familiar plot about a farm invaded by outer space creatures. Definitely not an original storyline, but one that’s always fun. The alien from Venus in this particular Betsoft slot is quite friendly and the farmer does not take too long to warm up to it and start feeding it. The players will also reap the benefits of the unexpected alien invasion, especially when random Wild icons land on reels 2 and 4. 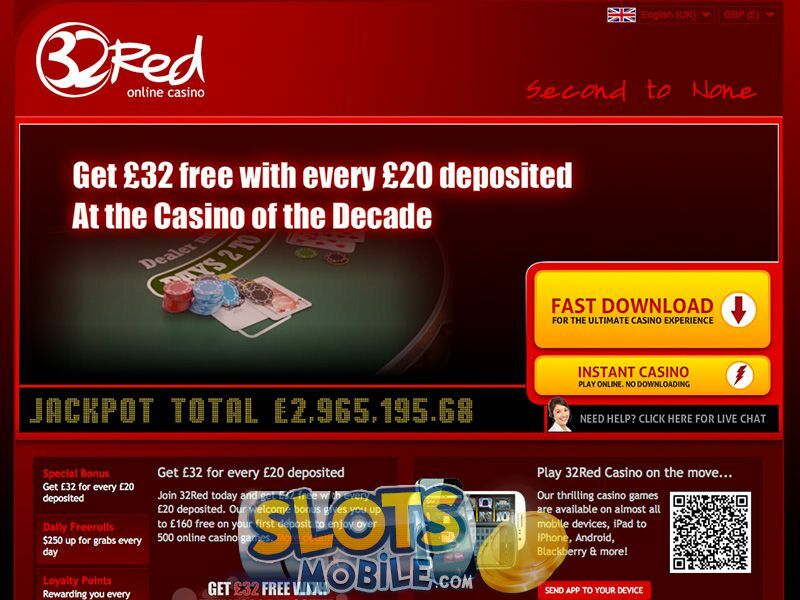 Any payouts that follow will be multiplied by 2x, 3x and 4x. The Wild bonanza does not end there; during the Feed Me Free Spins bonus, Food Cack icon will become the Sticky Wild, holding its position until all the spins are over. Multiple Wilds can land while the bonus is in progress and they will all stick to the reels until the free rounds expire, improving the payout score immensely.